I found this cute new range of glosses, false lashes and blushes on eBay from a brand called Melliesh by Yui Kanno. 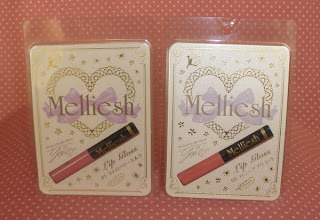 The glosses and blushes looked yummy so I ordered 2 of the Cheek Colors and 2 of the Lip Glosses. 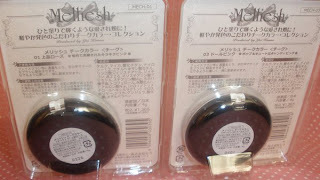 I paid around US$13 (RRP 1250 Yen) for the glosses and US$16 (RRP 1365 Yen) for the blushes from alphabeautyuk on eBay. The Lip Gloss comes in small tubes with regular fuzzy doe-foot applicator. The applicators are very soft and distribute the right amount of gloss evenly. 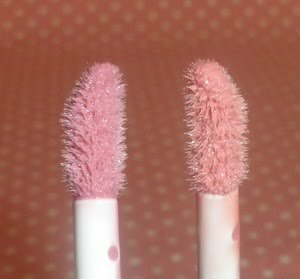 The colors are very pigmented for lipglosses but still show up with a slight transparency so they mix with my natural lip color really nicely. The finish of these unscented glosses is very shiny and the texture is not really sticky, rather slick and lightweight. 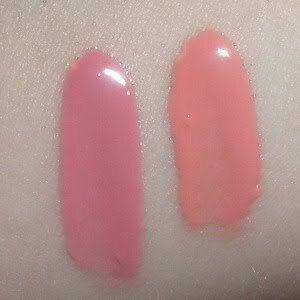 Lasting-power on me is average for a lip gloss but at least they fade evenly without gunking up in on place on my lips. The Cheek Color is housed in a quite (unnecessarily) bulky compact. 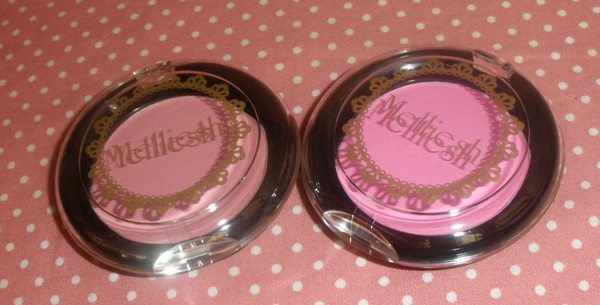 I say unnecessarily bulky as there is no puff or applicator included which is a bit weird in my opinion. 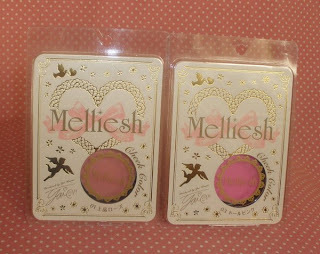 Anyway, the blushes are sheer but buildable and with a very slight sheen so they look really pretty albeit they are not that outstanding. 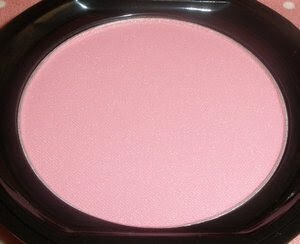 01 Elegant Rose - a very neutral beige rose which probably can go with a variety of lip colors. 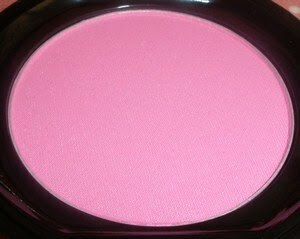 03 Dolly Pink - a cool bright pink which looks so very natural on me and is perfect for cool skin-tones. Overall Melliesh is a pretty nice little makeup range and I hope to see more stuff in the future. There are more colors of the blushes and glosses available so have a look at their website if you are interested. 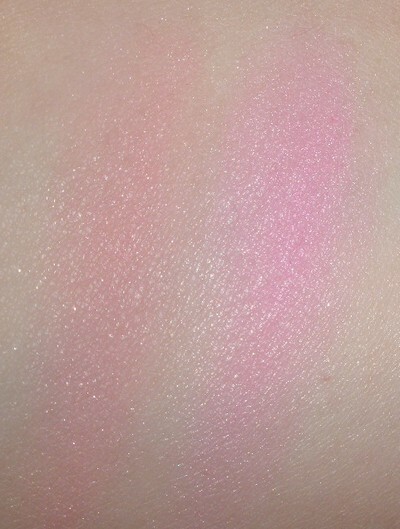 The colors are so sweet and pretty! 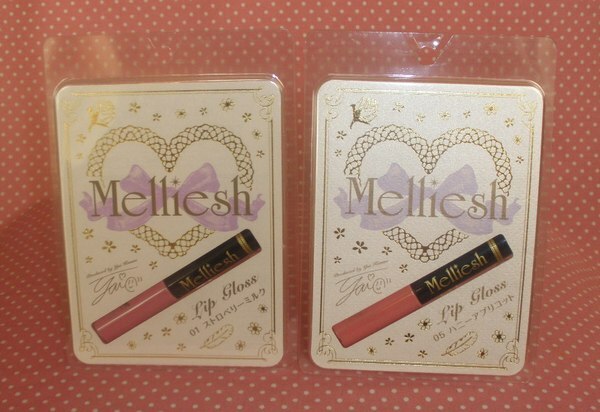 the lipgloss look very pretty. 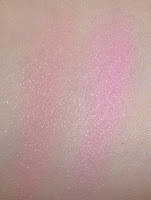 They are very pigmented too! 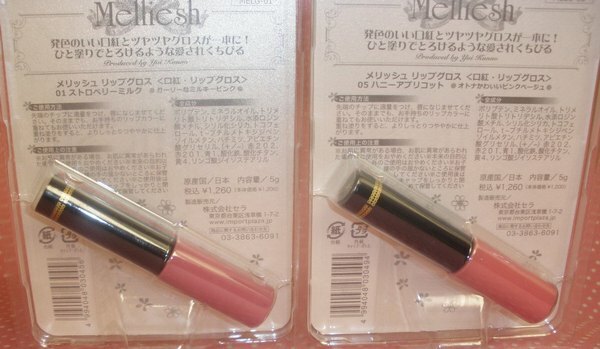 WOW, the lip color is so beautiful. 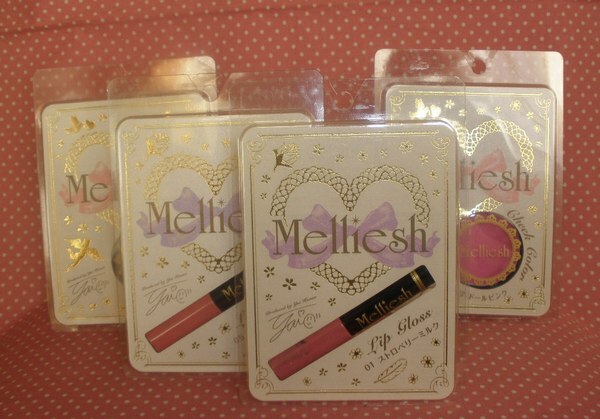 I can't ever seem to find a lipgloss like that!